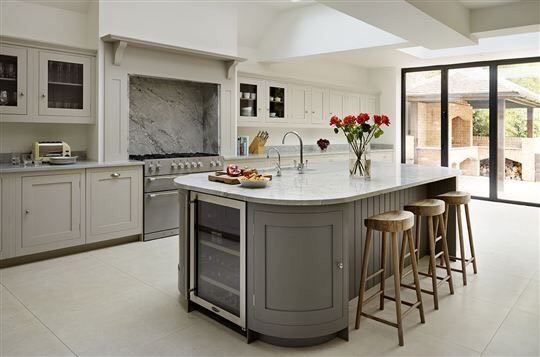 Choosing a new kitchen is one of the most exciting projects when it comes to renovating the home. It can also be the most expensive, stressful and time-consuming. From picking the right style to finding a designer and agreeing the layout, there’s a lot to take on board. 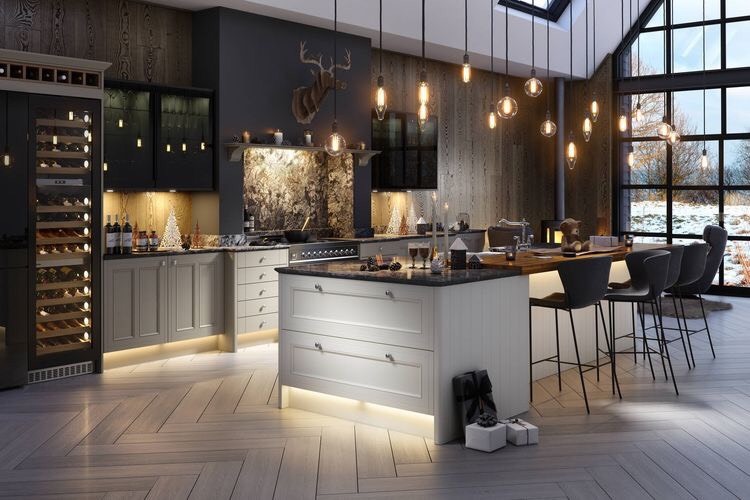 However tempted you are to rush into a showroom and choose your design, it’s vital that you take plenty of time to consider what it is you really want. The kitchen is truly the heart of the home, it’s where we cook, eat, entertain and socialize, so it’s important to create a kitchen that is a livable space. It’s important to think about how you want to use the space. Do you simply need a place to prepare meals, or are you dreaming of a multifunctional area where you can also have lunch or dinner with family and friends? Who do you cook for, what do you cook and how do you cook it? 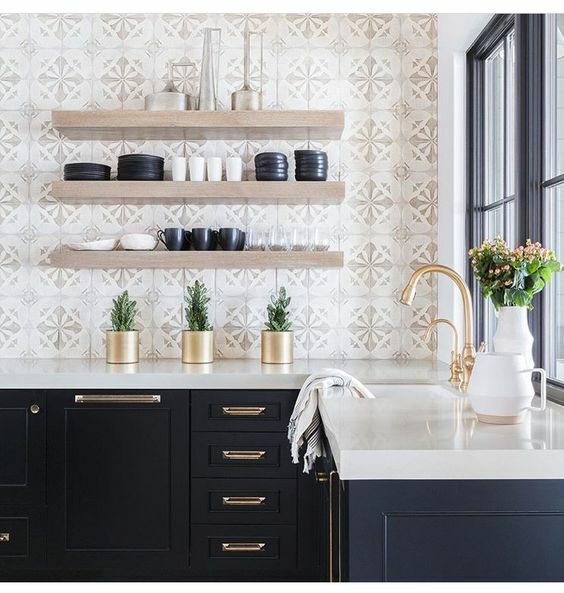 Everybody likes to work in their own particular way and each person has a different list of priorities, so make sure you think about this prior to consulting a kitchen specialist to ensure your kitchen is tailored to your family’s specific needs. Also, make a note of surfaces, materials or accessories you’ve seen that work well together. Something as simple as a pretty plate, a tile sample, a piece of furniture or fabric swatch can be a great starting point for choosing a theme or colour scheme. Don’t worry too much about cost at this point, just focus on things that inspire you, and soon you’ll be able to identify styles you are drawn to. Think about whether the actual space works or if it needs opening up or extending. The most common building work involves knocking down a wall between kitchen and dining room, so consider creating that open plan feel if you can. 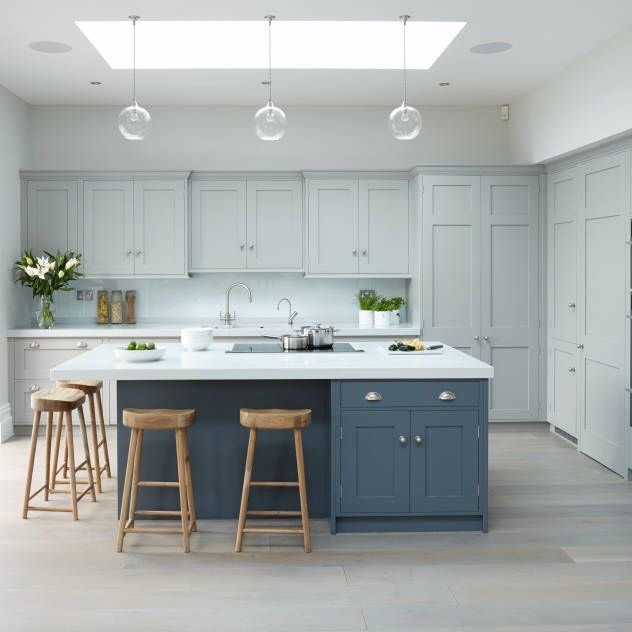 If you’re on a tight budget consider revamping kitchen cabinets or investing in some new kitchen worktops to refresh the style and give yourself another good few years of use out of your kitchen. Make lighting quite flexible so you can regulate areas of your kitchen independently, especially if you’re planning an open living space. You’ll need practical task lighting such as spots above preparation areas yet more ambient or decorative lights in seating and dining areas. 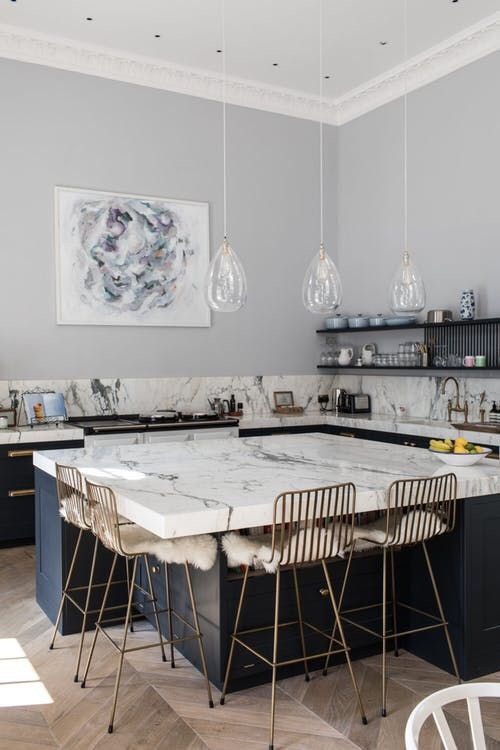 Make your lighting quite flexible so you can regulate areas of your kitchen indipendantly especially if you’re planning on an open living space, you’ll need practical task lighting such as spots above preperation areas but more ambient & decorative lights in seating dining areas. 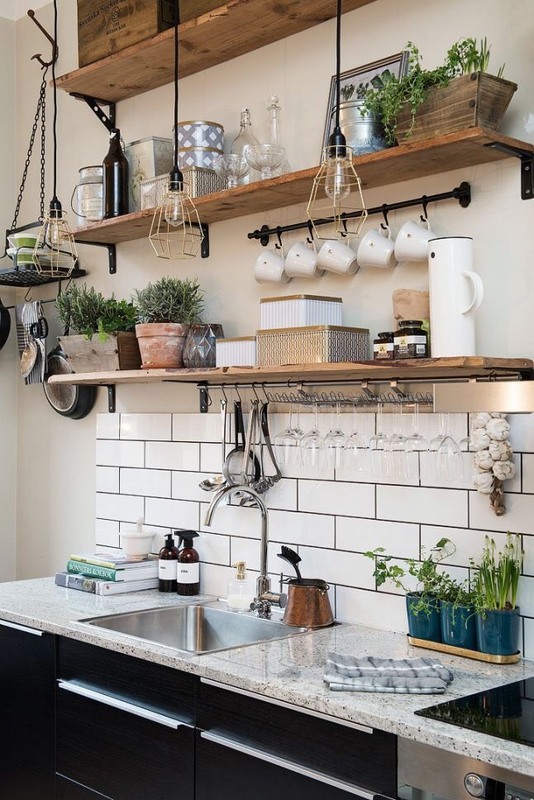 Make your kitchen feel more characterful & homely by using unusual objects picked up on your travels or gorgeous ceramics displayed with your favourite cook books. 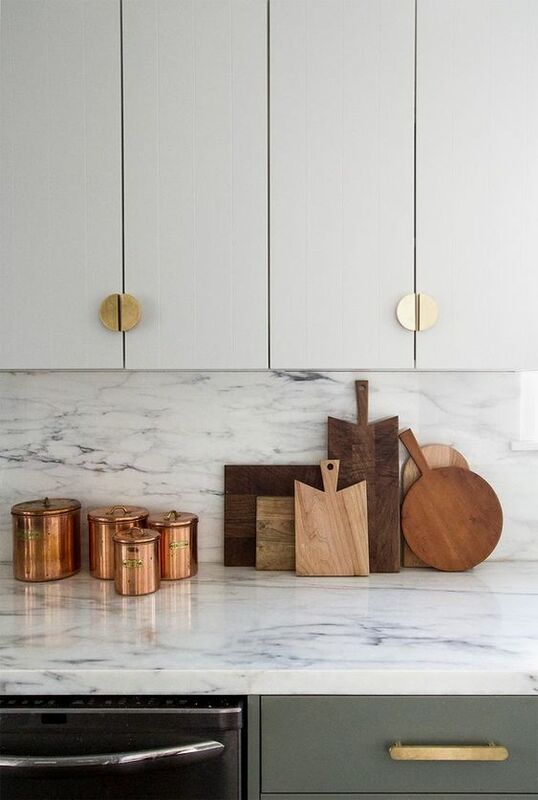 Little details, such as cabinetry handles, can make a big difference and transform simple yet elegant kitchen cupboards.